We offer a wide range of hotels near Hamilton Academical from cheap accommodation to up market luxury hotels. Search our database of hotels to find the lowest rate for your stay closest to New Douglas Park. With a luxury spa and award-winning restaurant, Macdonald Crutherland House is 20 minutes’ drive from Glasgow centre. In 37 acres of parkland, the hotel offers free parking and elegant bedrooms. 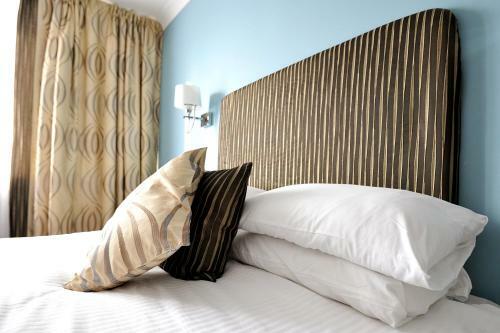 The Bruce Hotel is situated in the heart of East Kilbride, only 20 minutes’ drive from Glasgow Airport and 50 minutes from Edinburgh Airport. It has free underground parking on site.